December Word of Mouth 5! It’s that time – my once a month column where I feature 5 people, organizations or businesses that I think you should check out! A Los Angeles native, author Elycia Rubin is a mother, writer, producer and two-time published author of successful style guides including: Frumpy To Foxy In 15 Minutes Flat (Fair Winds Press) and Curves Rule And Flat Is Fabulous (Kensington/Citadel). 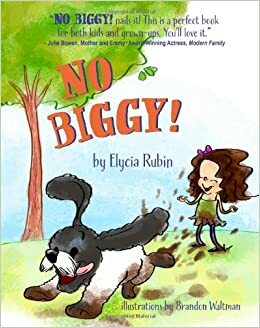 Her fantastic children’s book, No Biggy!, is a great story about how to overcome the little things in life. It’s actually a good reminder for all ages. A great gift for the holidays. 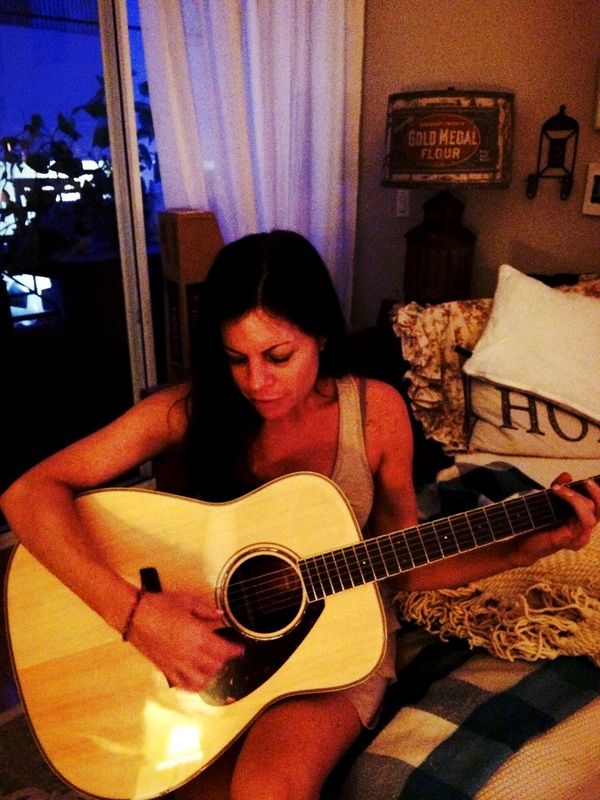 Along with writing books, Elycia has an awesome website called, What I’m Loving. A place where Elycia can share all the things she discovers in her hunger and curiosity for life. Do yourself a favor and check out all things Elycia — you can find her book at nobiggybook.com and her website whatimloving.com! 2. MILK JAR COOKIES – I love cookies and milk. I love sending cookies and milk to friends and co-workers even more! Milk Jar Cookies makes incredible cookies and always lets you customize your order. With cookies like banana split, birthday cookie, rocky road and gluten free chocolate chip — you truly can’t go wrong. Whenever I send a gift box and jar of milk to someone the response is always amazing (and basically begging for more!). Check out Milk Jar Cookies at their website, milkjarcookies.com, follow them on facebook and twitter or go into their sweet shop in Los Angeles today! Amber Valletta is not only beautiful on the outside — she is simply stunning on the in. I’ve been acquaintances with Amber for many years and have always left a conversation with her feeling a little happier, wiser and inspired. And now Amber has launched her business, Master & Muse. The company’s name is inspired by the many Masters and Muses with whom Amber has worked over the years. “Master & Muse by Amber Valletta is the premier online store that bridges the gap between cutting-edge fashion and mindful manufacturing. Curated by Amber, the clothing and accessories offered by Master & Muse on yoox.com reflect Amber’s deepest core beliefs that substance and style do not have to be mutually exclusive”. Check out Master & Muse at masterandmuse.com and on facebook! Mamalode launched in 2009 when a group of moms decided to print a magazine that was about parenting and so much more. Mamalode has been called one of the best parenting magazines out there today. Collecting the best of the blogosphere — “we mash it up with MFA programs and mix it with our readers’ submissions. And through a little curation, a lot of love for content and design and the wonders of modern motherhood, we deliver Mamalode”. There are new themes every month filled with stories, poems, playlists, slideshows, reviews and great people. A great magazine to find in your inbox — I love to sit back with my coffee and read Mamalode! You can find their website at mamalode.com and on facebook and follow them on twitter! Okay, this movie doesn’t open until January but I got to see a screening of it because the writer/director is my dear friend, Mike Binder and it is quite simply beautiful. With everything that’s been going on in the news lately and my outrage at the injustice, hate and racism that we still suffer with (even when we like to think we’ve come so far) I thought mentioning this movie seemed like a really good idea. It deals with more than racism — it shines light on the flawed, hypocritical and judgmental behavior that we all suffer from (whether we like to admit it or not). AND it also brings out the love, acceptance, and hope that we all carry within us (or are certainly capable of carrying within us). A brilliant cast, a fantastic script and great movie to share with your double digit aged kids. I took my daughter and she loved it and it sparked a fascinating conversation about racism on the drive home. You can find information, photos, and videos about Black or White on facebook! And there you have it! My December Word of Mouth 5! Hope you check out one or all of these great people and places! And, of course… spread the word.